1. 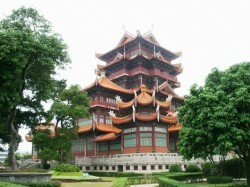 May 19, under my plan, Liu Zhu went back to her hometown. 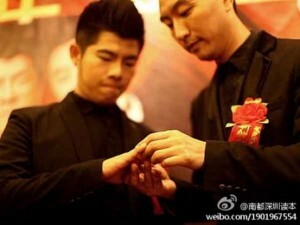 Some readers asked me to continue (part 1) translating the rest of the story, however the original post on Tianya was already deleted, luckily I found some websites here and here which reposted this story. [NetEase] College student Li, Yu (李玉）was in an uncomfortable situation last week while completing her registration form for blood donation — she lost her right to donate blood as a result of her honesty regarding her sexuality. 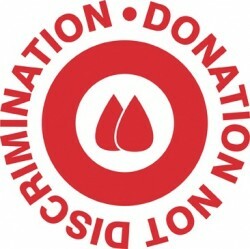 As such, Yu signed her name on an online petition to encourage the government to eliminate the existing discriminating terms against homosexual people in the blood donation regulations. 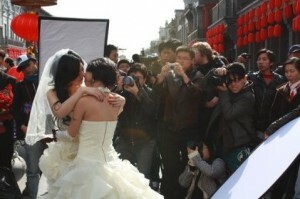 2009 Feb. 14th, Valentine’s Day, afternoon, two gay, lesbian couples dressed up and shooting their wedding photos on Beijing’s Qianmen(前门) pedestrian street.